Residents and business near Kings Bay banded together to make a change in Kings Bay’s waters. After decades of decline it was time to restore Kings Bay’s waters and it’s ecosystem to the clear, beautiful place, with fish and grasses and life, that it had been before. It wasn’t easy. The newly founded “Save Crystal River” tried harvesters to remove the Lyngbya and invasive hyacinth that had become dominant. It wasn’t enough. They went at the problem with everything they had, down to rakes and shovels, trying to make a lasting impact. But it wasn’t enough. The damage caused by three horrendous storms (the no name storm in 1993 and two others that year) made salt levels in the bay go above 17 parts per thousand. This salt level killed the eelgrass and other plants. The sunlight was blotted out by several feet of rotting plant matter choking out the light, leaving the bottom a dead zone. 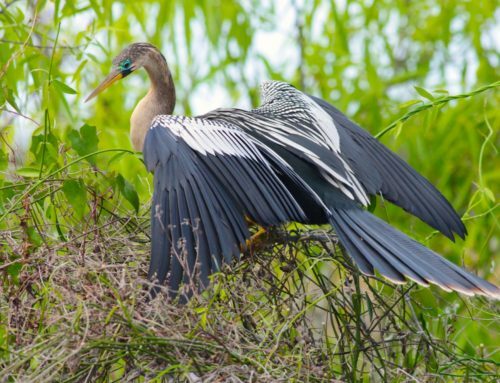 It took more to restore Kings Bay, gem of Florida’s nature coast. A lot more. It became clear in 2011, that this restoration was going to take a significantly larger effort. Residents and businesses joined forces, and Save Crystal River Inc. was founded as a Florida 501(c)(3) not-for-profit. Restoring the bay and its estuaries, and preserving this water for generations to come, became a full time endeavor for this group. A a similar problem existed at this time in Stevenson creek, in Clearwater Florida. There, a “vacuum and replant” technique had been used. Save Crystal River (SCR) thought this “vacuuming the bottom” method would be a great first step. To make a good planting bed for grasses, it is critical to remove the “muck” and get down to sandy bottom. 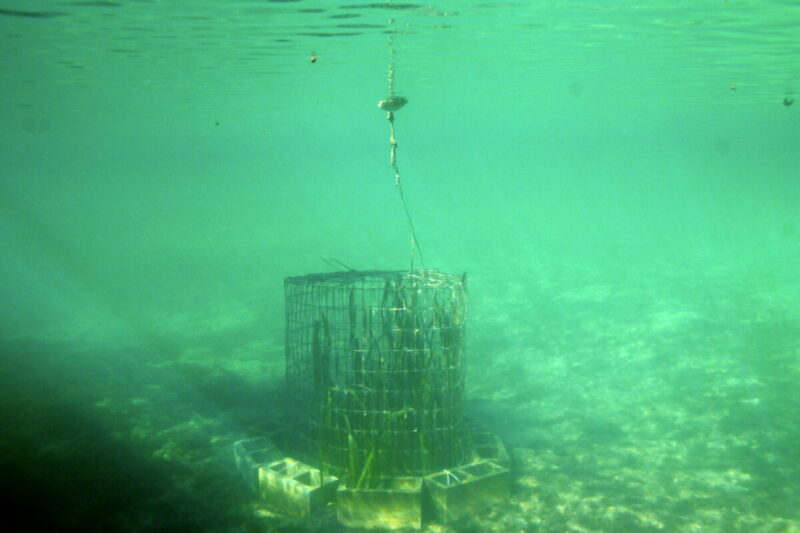 These individual eelgrass plants in turn grow into a meadow and provide a home for crabs, fish and other critters to make a thriving ecosystem. But could this be done in Kings Bay, and what would it cost? 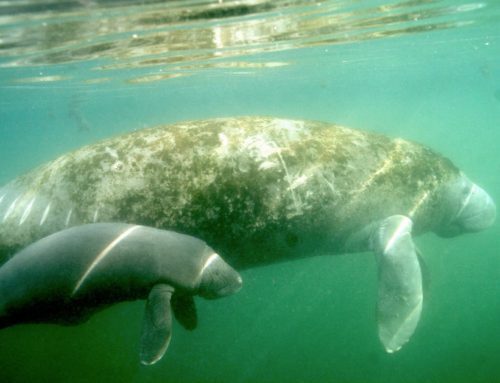 Save Crystal River investigated “vacuum the bottom” technology. At the same time Carter Henne, President of Sea and Shoreline, was planting some eelgrass planting for the Southwest Florida Management District in Kings Bay. 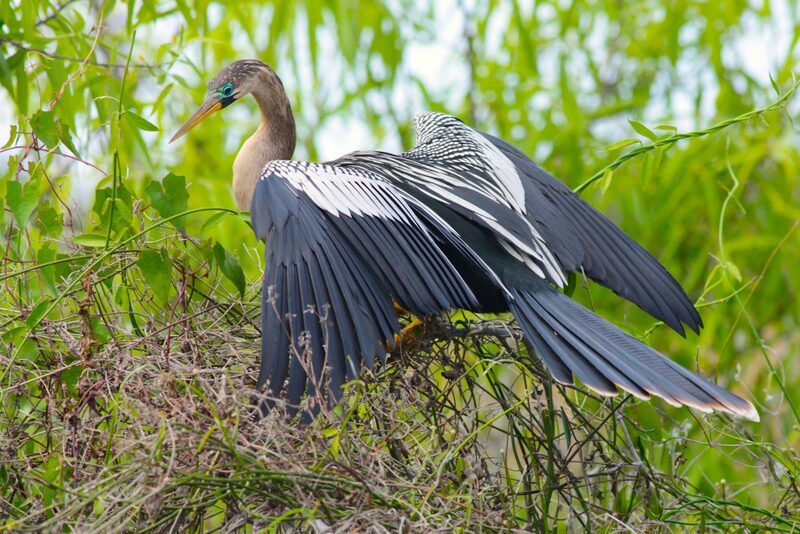 He heard about Save Crystal River’s project and contacted us about helping. 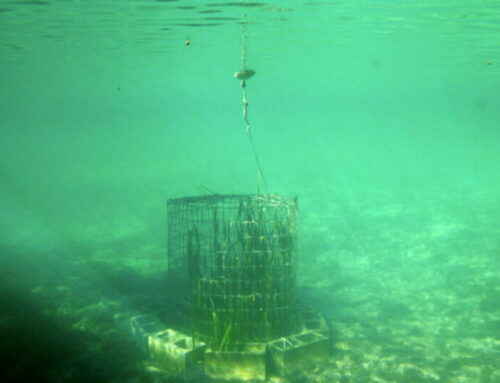 It quickly became clear that his expertise growing and planting eelgrass was just what was needed. 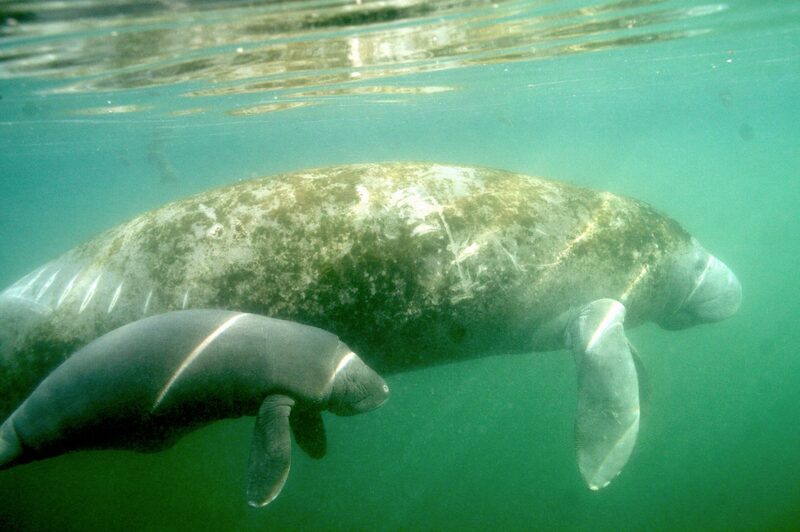 Save Crystal River partnered with Sea and Shoreline and Gator Dredging to restore Kings Bay. Then we just needed to find the funds. We decided to head to Tallahassee in 2015 and approach the Legislature for help funding this important project. Every school child in the county was asked to write a letter saying how much they wanted their bay restored. We arrived with boxes and boxes of letters and drawings from the students. Who could say no to that! The kids made a great impression, but Save Crystal River was also armed with the best restoration science available. We made quite an impression. They agreed to provide $1.6M in funding for a pilot project. Carter Henne’s plan was to start at the further reaches upstream from the headwaters of Kings Bay and work our way downstream. We selected a few canals in the area of the Crystal River Post Office for our first location. The pilot project cleaned a little over three acres of canals. Tons (10,230) of muck was removed, and 6,714 plants were planted. This pilot project was so successful that in 2016 we again headed to Tallahassee, this time armed with dozens of jars of dirty water and Lyngbya- straight from the bay, to show just how bad the problem was. This appeal too made an impact (several Legislators still have their jars) and the Restoration Project was funded $1.4M. The Department of Environmental Protection provided and additional $2.4M of Springs Restoration Funding, also seeing the value of this project. This funding restored eight more acres and removed 24,430 tons of muck from canals around of the Hunter Springs basin. We returned again to Tallahassee in 2017. This time we were armed with jars filled with beautifully clear water, white sand, and an eelgrass plant to show what a difference this restoration has made. We were awarded $2M from the Legislature and $1.8M from DEP. We used this funding to begin restoring the canals in the area of Three Sisters Springs. The 2018 Legislative session awarded us $2M with an additional $2M from DEP. This money will restore the remaining canals around Three Sisters Springs. You can read more about our current work HERE. This project has been proven to be hugely successful. An independent scientific study showed that we have greater biodiversity in these restored canals (Hotlink). Annual project area studies show that the grass is growing exponentially. For example, the initial planting of 6,714 plants in the pilot project has exploded to well over 5 million plants in just three short years. 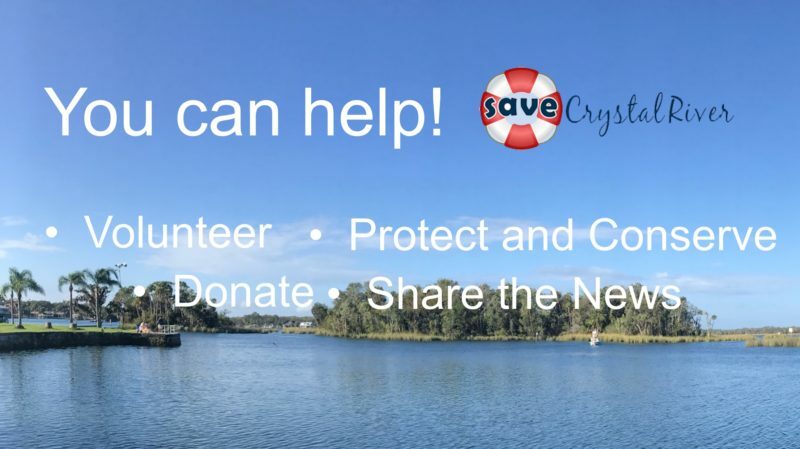 Save Crystal River is excited to keep restoring the bay and we hope to have 91.4 areas restored by July 2, 2023 – the centennial anniversary of when the City of Crystal River became incorporated.